Morgan Stanley has ceased to be a bookrunner on Iraqi telecommunications firm Asiacell's initial public offer of shares, a source said, signalling the IPO will increasingly rely on local investors. Morgan Stanley will advise Asiacell's parent firm Qatar Telecom (Qtel) on the share sale, leaving HSBC and Baghdad-based broker Rabee Securities to manage the IPO as joint bookrunners, the source said. 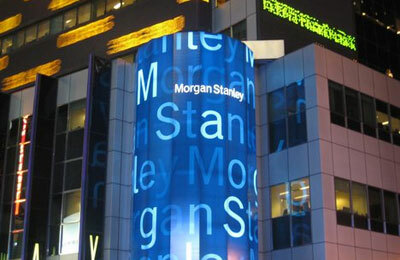 "Morgan Stanley is still an adviser to Qtel on the IPO, but the growing focus on the Iraqi market is why Morgan Stanley has changed role," it said. "HSBC and Rabee have branches in Iraq and are local players - Morgan Stanley isn't - and you need people on the ground for this deal. It was agreed between all parties that this was the way to go given the domestic orientation of the IPO." Asiacell last month received preliminary approval from Iraqi regulators to launch its delayed IPO, and placed advertisements in Iraqi newspapers two weeks ago to publicise the flotation.